This 24-year-old male performance athlete presents with inversion injury. 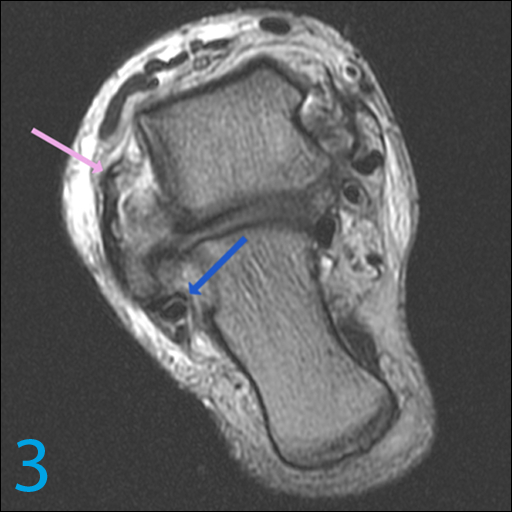 The following axial images are in plantar flexion, 30 degrees. Q1 – What is the pink arrow pointing to in images 2 and 3? Q2 – To what is the blue arrow pointing in images 1 through 3? Q3 – Given the findings highlighted with the pink and blue arrows, what is your imaging checklist? 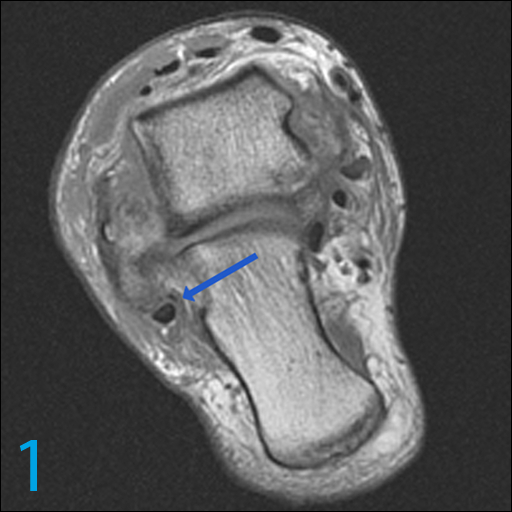 A1 – Torn anterior talofibular ligament. 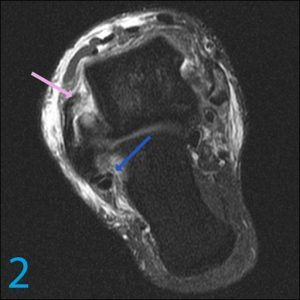 A2 – Torn calcaneofibular ligament. 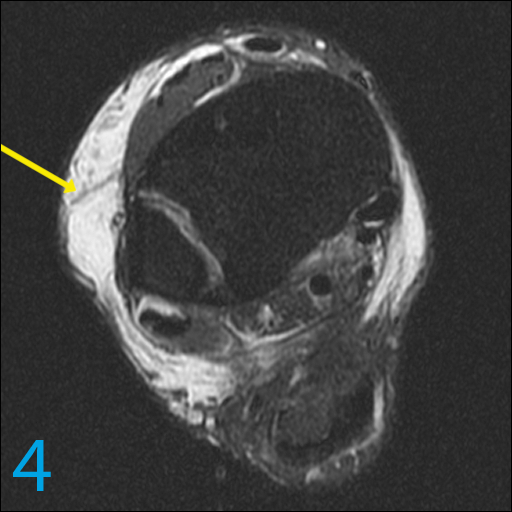 (a) The anterolateral soft tissues for hematoma (image 4, yellow arrow). (b) The high ankle was normal. High ankle assessment should include the anterior tibiofibular ligament, interosseous ligament, and posterior tibiofibular ligament. 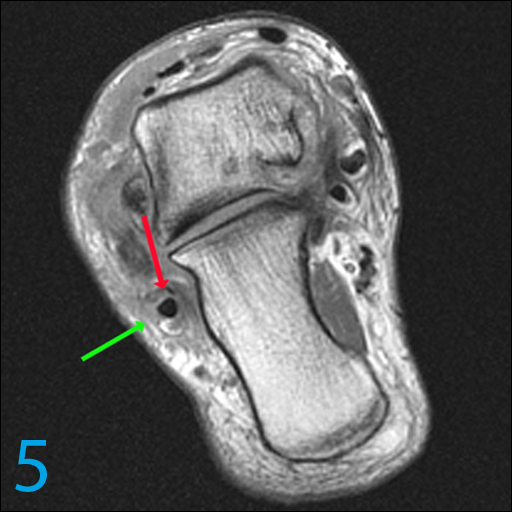 (c) The superior peroneal retinaculum is torn (image 5, green arrow), and peroneus brevis tendon demonstrates a split tear (image 5, red arrow). (d) The talar dome, which was normal. (e) Occult fractures; none of which were present. (f) The subtalar space, and ligaments including the talocalcaneal interosseous ligament, cervical ligament, and lateral extensor retinacular / stem / frondiform ligament were all normal.